—- opening lines from the film TO BE OR NOT TO BE, Hollywood 1942. 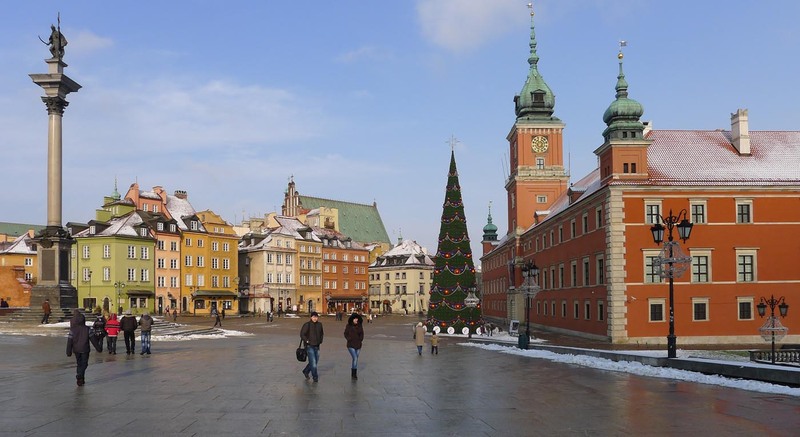 Poland was the jewel of Eastern Europe, which is why Germany annexed the western part of it, Russian annexed the eastern part of it, and Austria annexed the southern part of it. 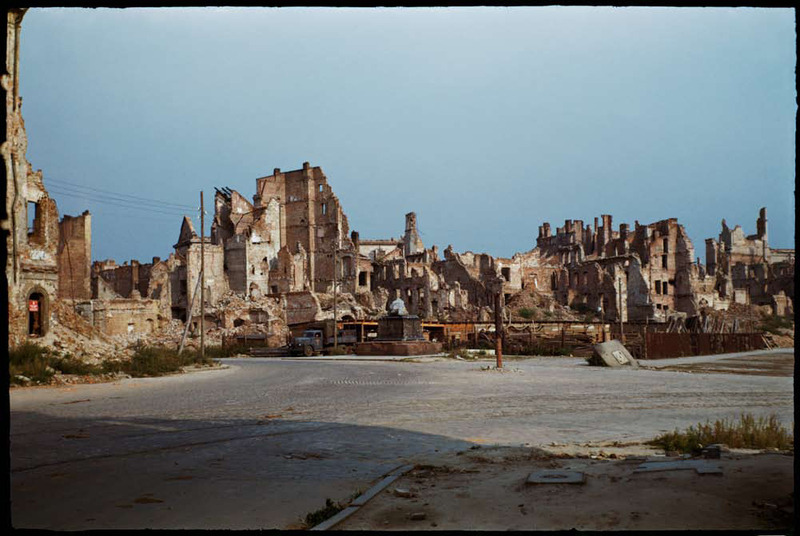 In WWII Warsaw was bombed and deliberately destroyed by the Germans, leaving 84% of it a smoldering pile of rubble. 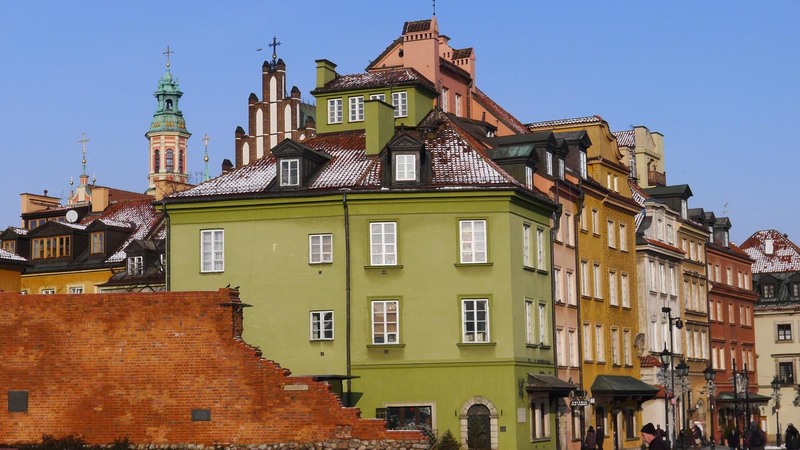 Over the last six decades artisans and scholars have reconstructed the Old City and the architectural treasures of Warsaw based on research from centuries old oil paintings, salvaged architectural renderings and pre-war photographs. 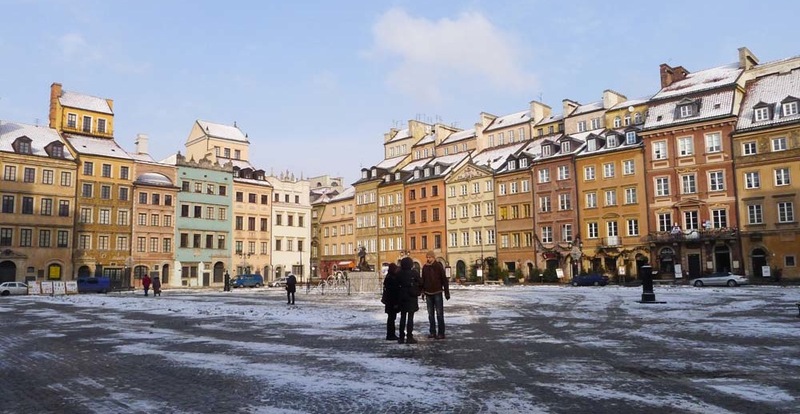 The incarnation of Warsaw that stands today is entirely convincing. Barbakan, the Old City wall. 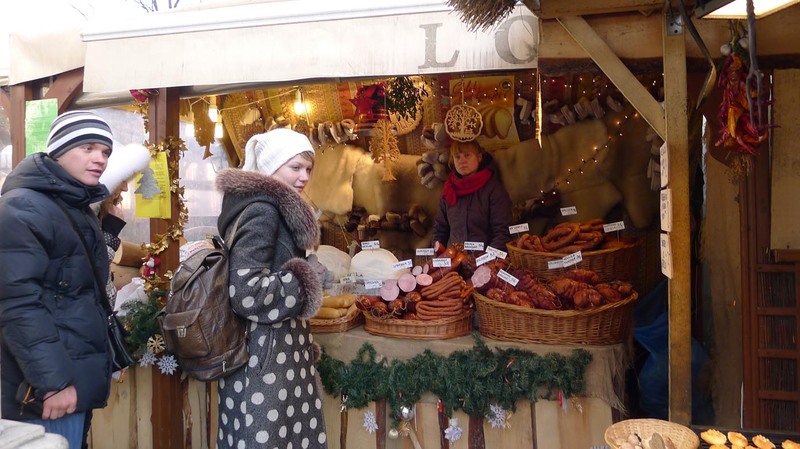 Last stalls remaining from the Christmas market. 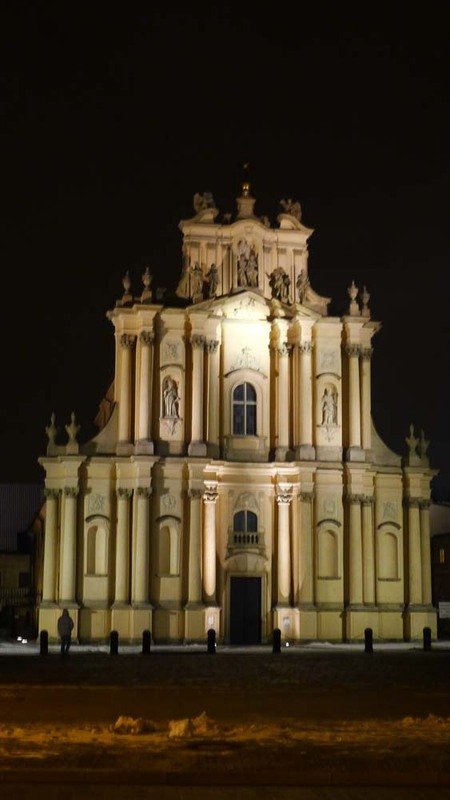 Church of St. Joseph where Chopin used to play the organ. 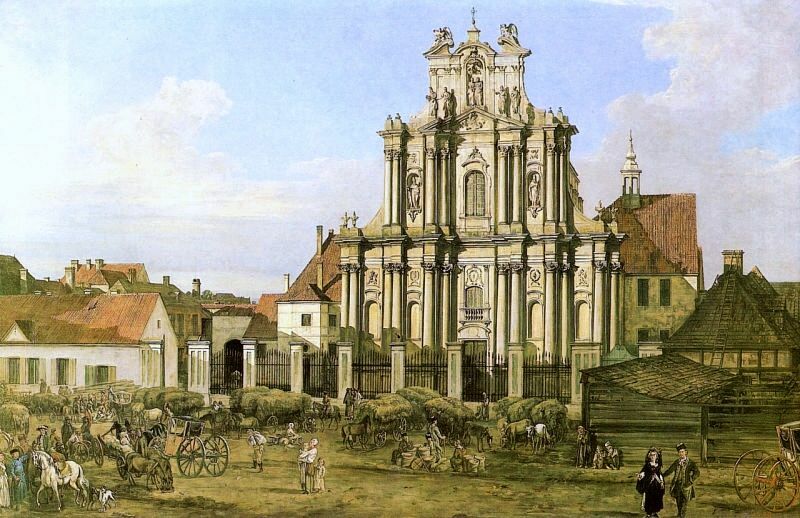 Church of St. Joseph painted by Bernardo Bellotto, nephew of Canaletto, who lived in Warsaw for 16 years, starting in 1664, as court painter. 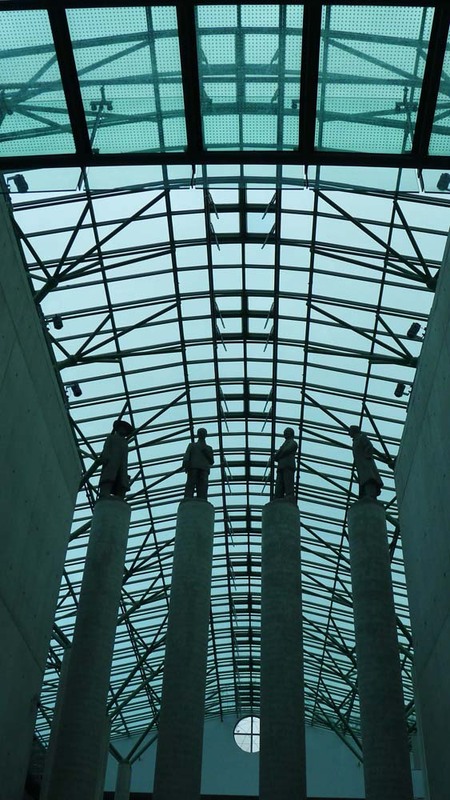 Warsaw University (established 1816) is a thriving, innovative institution. Strolling through the campus we met four famous Polish philosophers: Kazimierz Twardowski, Jan Łukasiewicz, Alfred Tarski, Stanisław Leśniewski. 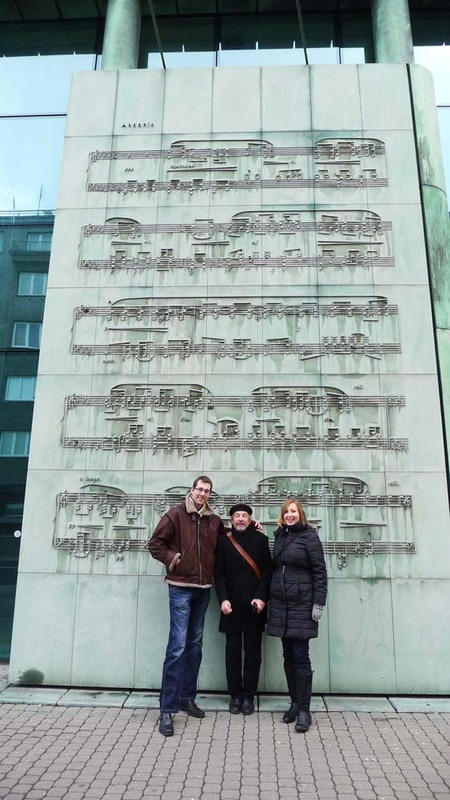 The tall people pictured below are Waldemar’s niece and nephew, Marcin and Aleksandra Kalinowski, graduates of Warsaw University. 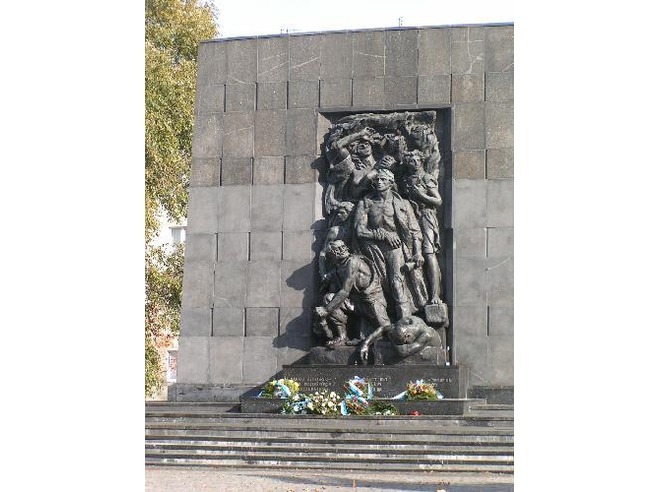 …and the monument to the Warsaw Ghetto Uprising. In this city of monuments a unique series of jukebox benches are designed to commemorate the 200th anniversary of Frédéric Chopin’s (1810-1849) birth. 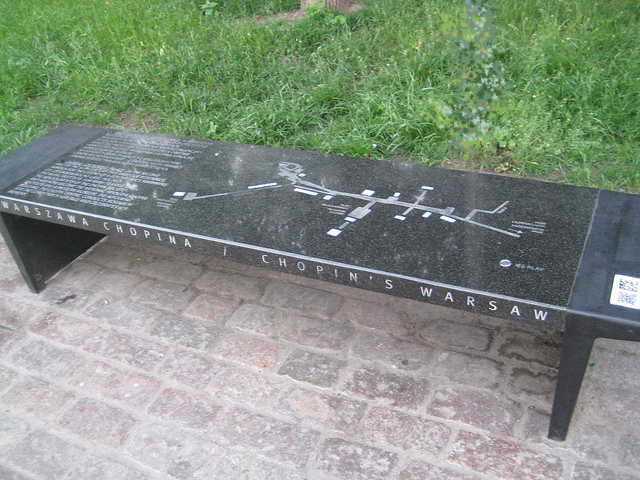 Benches are placed along a route that follows Chopin’s early years in Warsaw. 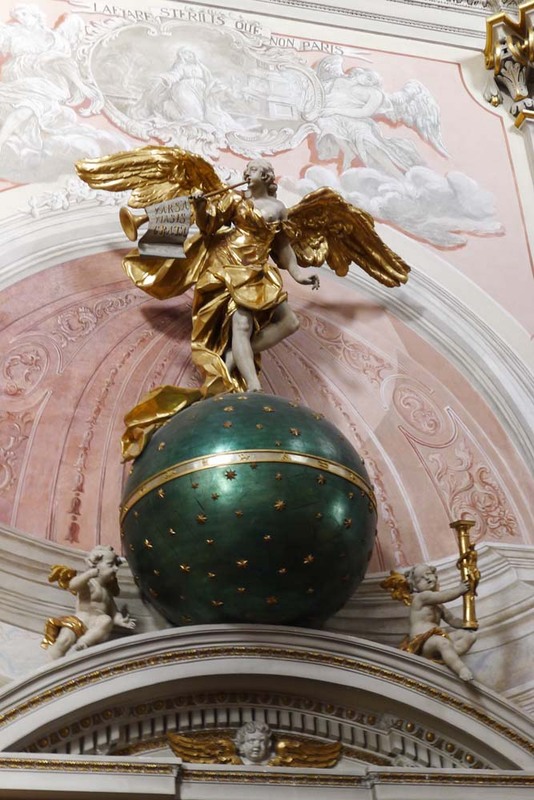 You are invited to sit, press the start button and listen to a Prelude, a Mazurka or a Polonaise by Chopin right in the middle of your busy day. 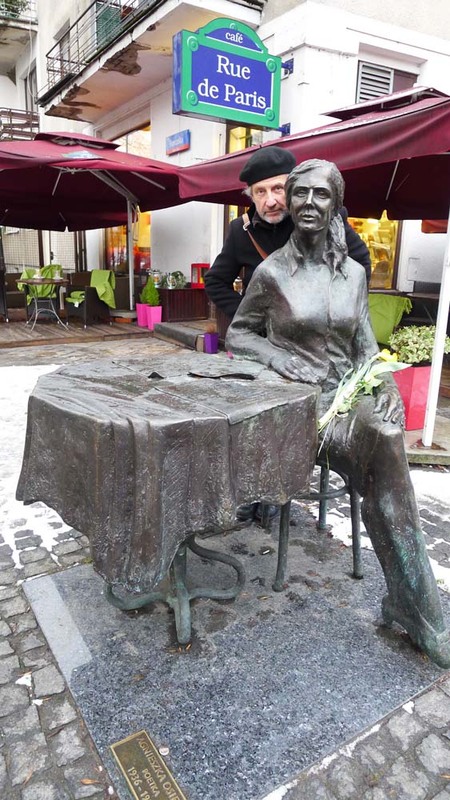 There are also monuments to great Polish poets like Agnieszka Osiecka (1936-1997). Besides being a poet, she was a writer, playwright, screenwriter, film director and journalist. She also wrote the lyrics to more than 2000 songs! 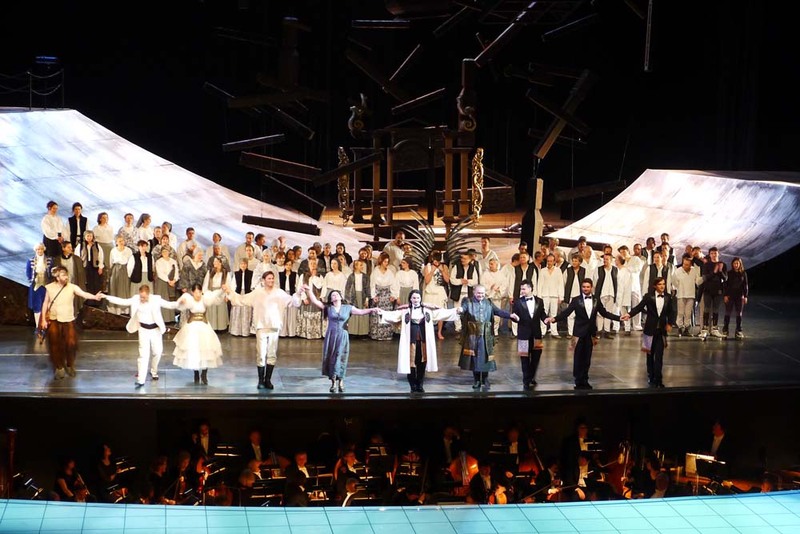 The Polish opera HALKA, composed by Stanislaw Moniuszko, has been playing on and off in Poland since 1848. We saw a production at Teatr Wielki (the Grand Theatre) featuring a non-traditional staging with a great tenor who was almost upstaged by two roller bladers skating up and down the half pipe and a pair of stunning Borzoi wolfhounds lounging around the set. 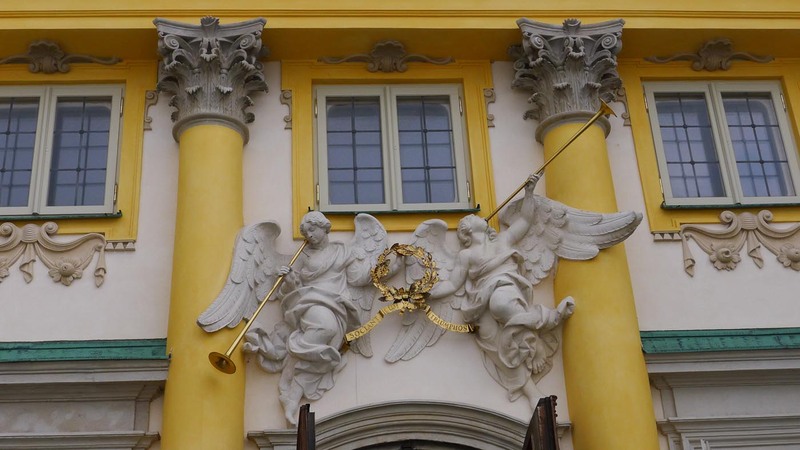 Just 15 minutes drive outside of central Warsaw is Wilanow Palace (Villa Nuova). It was commissioned in 1677 by King Jan III Sobiekski and his French wife, Marysienka, whose extraordinary love letters are preserved today. King Jan, besides being a great lover, was a great soldier who saved Vienna from the Ottoman Turks. (The Austrians must have forgotten about that when they annexed southern Poland 200 years later.) 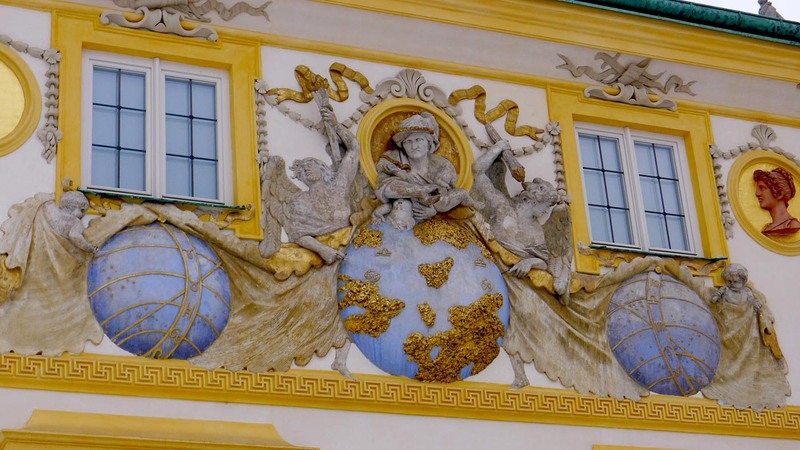 This palace was miraculously spared in WWII. The vast formal gardens and palace are now open to the public. We are the public. 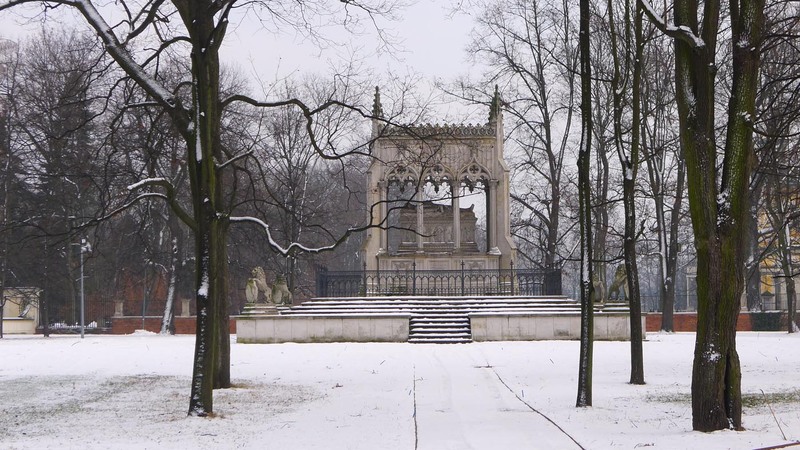 Tombs of Prince Stanislaw and Princess Aleksandra Potocki at Wilanow. 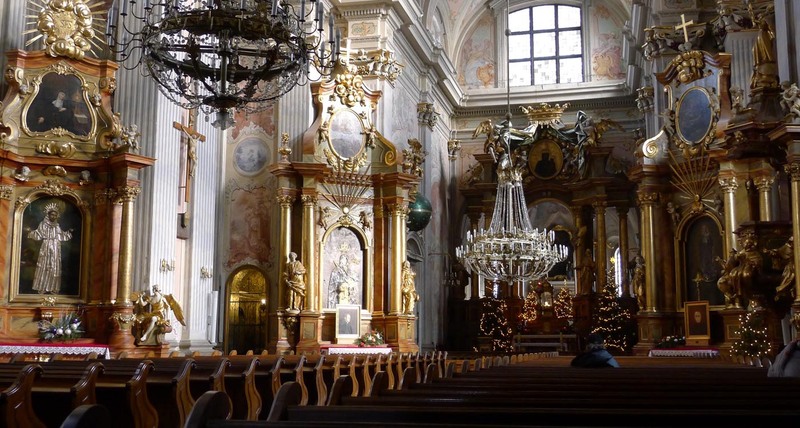 St. Anne’s church in Royal Palace Square was founded in 1454 and has remained unchanged since its latest addition in 1788. 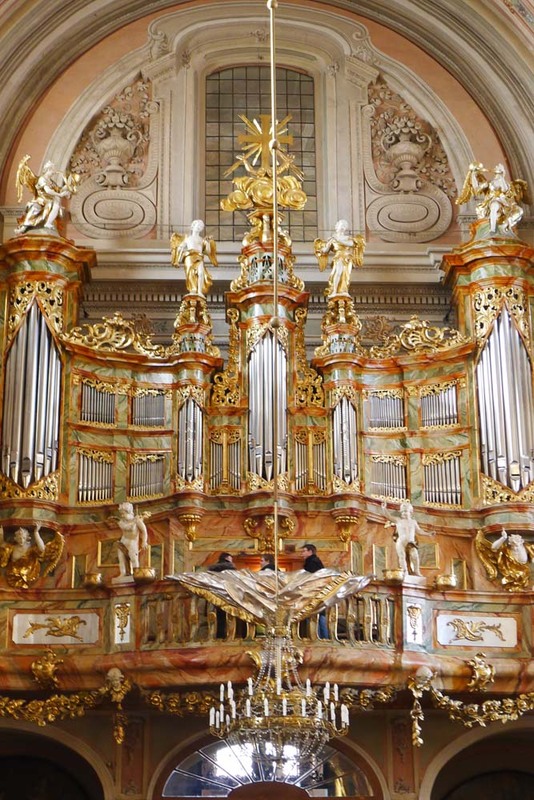 It’s where organ students from the Warsaw Conservatory practice in the afternoons. After Solidarity, the Russians went back to Russia, and the Poles reclaimed their distinctive food culture, but like everybody else, they also invited the Italians to contribute. 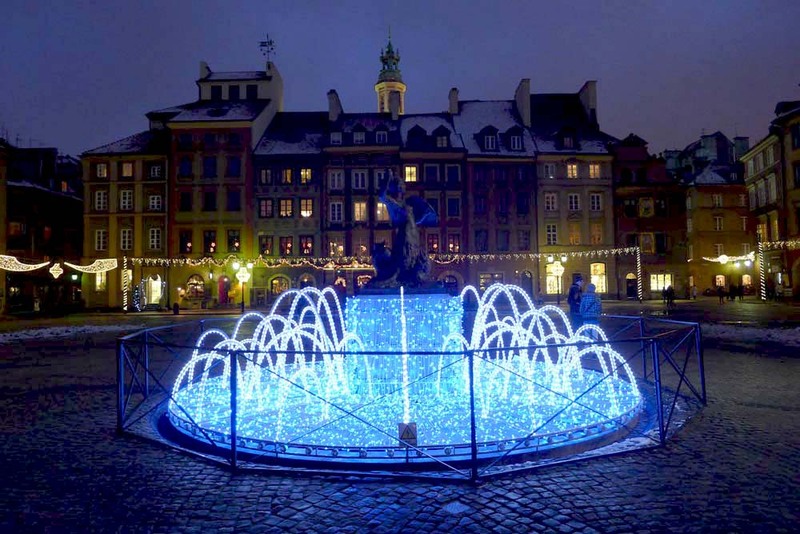 For excellent traditional Polish food – that means slow cooked Duck or Pork, with a starter of Steak Tartare (yes the Tartars ravaged Poland but left the legacy of beef tenderized under the saddle), make a reservation at the wildly popular U KUCHARZY on 7 Ossolinskich Street (Europejski Hotel), 48-22-826-79-36, www.gessler.pl. Warning: atmosphere is reminiscent of eating in a series of bathrooms with waiters rushing in and out, because all the dining rooms are covered with white tiles from floor to ceiling. For state of the art Italian food I loved MIELZYNSKI on Burakowska 5/7 Street, +22 636 0709. Eat perfect prosciutto, aged parmesan and delicate pastas in a sprawling studio space filled with hundreds of crates of wine and choice selections of olive oils right in the heart of Warsaw. 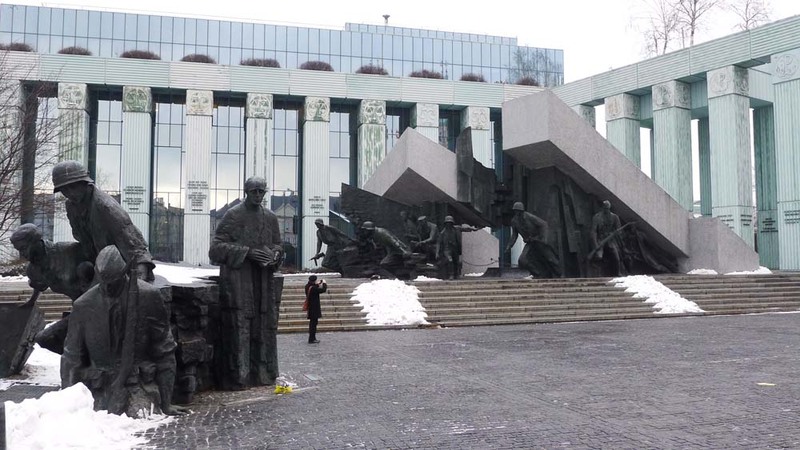 Find them at http://www.mielzynski.pl/mielzynski_eng.html. This is a taxi ride as the surrounding neighborhood is industrial. Do widzenia! Ciao Bella!